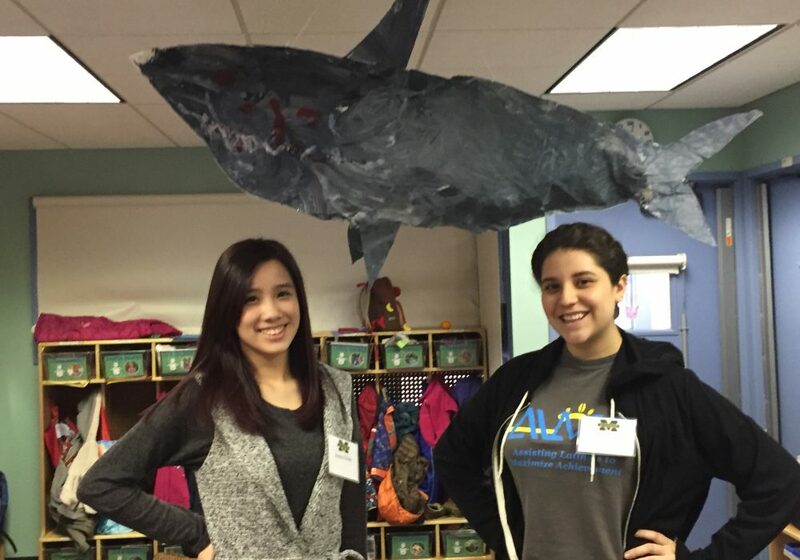 Students work with children ages 2-5 in community preschools and daycare centers. 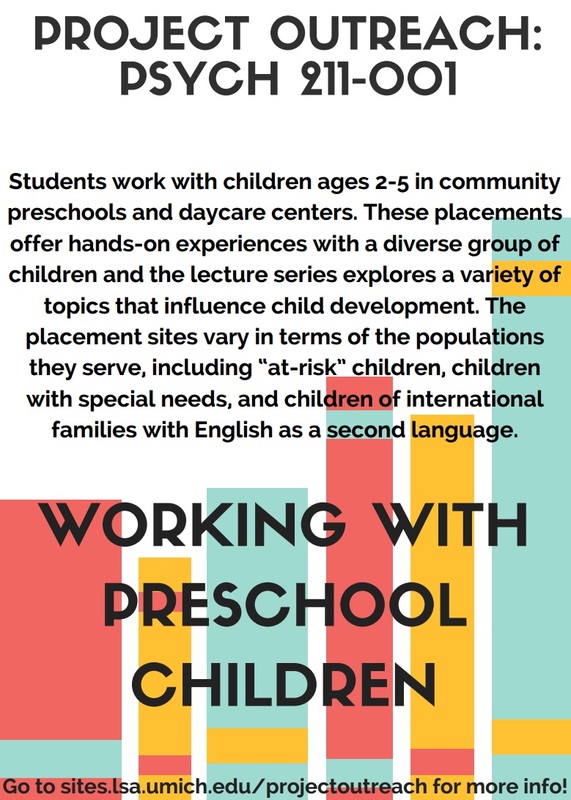 These placements offer hands-on experiences with a diverse group of children and the lecture series explores a variety of topics that influence child development. 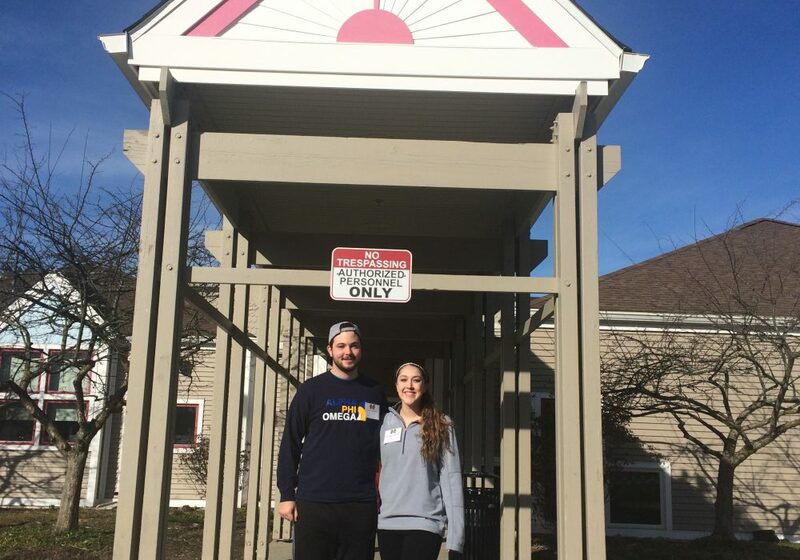 The placement sites vary in terms of the populations they serve, including “at-risk” children, children with special needs, and children of international families with English as a second language. Lecture/Discussion time for this section is Tuesday 4:00-6:00 p.m.
All day care centers require proof of a negative TB test (see Psych 211 Information tab) and a DHS (Department of Human Services) clearance. 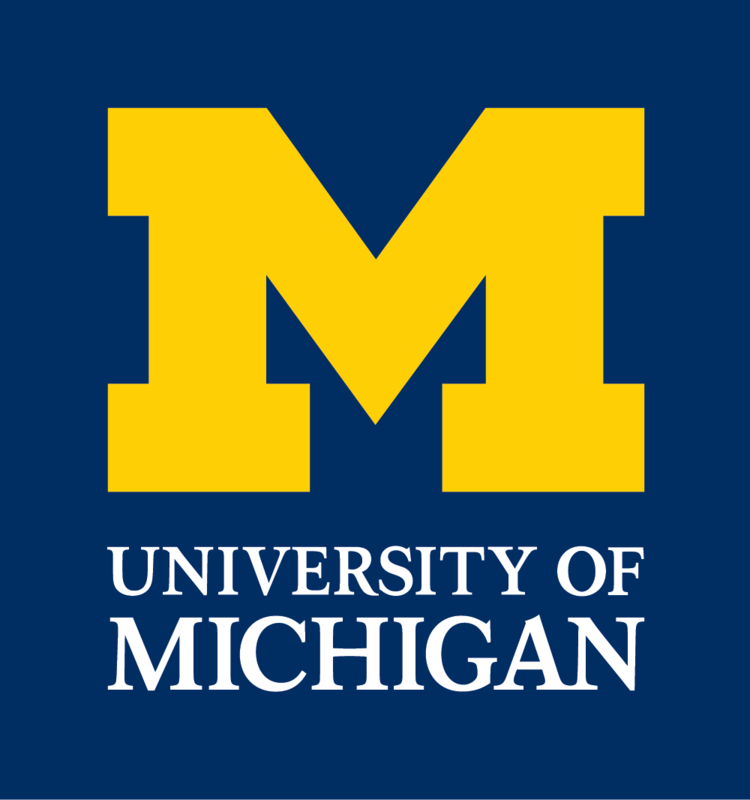 The University of Michigan requires students enrolled in this section to complete a background check prior to going to site. 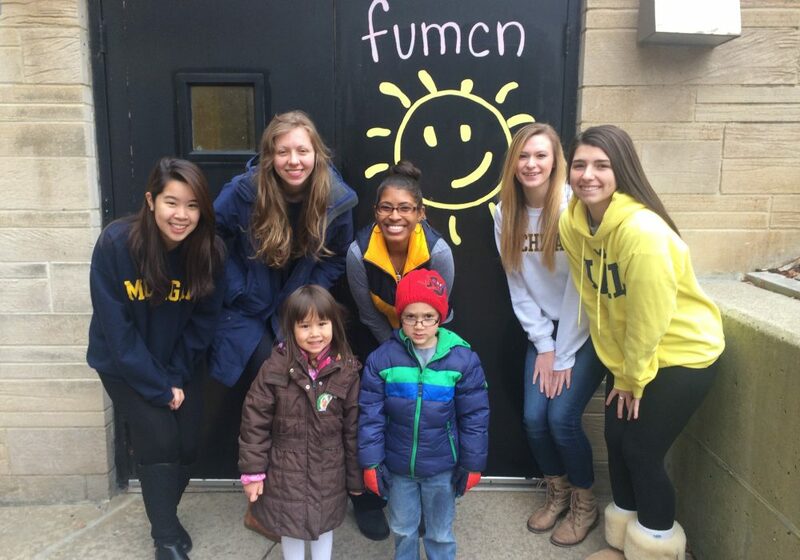 Please watch for an email from: U-M_Human_Resources@geninfo.com requesting information. The request is only valid for 7 days after which it expires. Please check your junk folder, the initial email may go there.